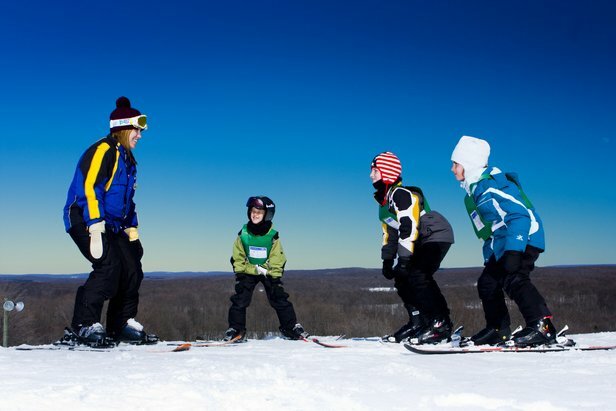 Enjoying the excitement of Michigan’s winter season is something that the Michigan Snowsports Industries Association (MSIA) wants every child to do. This is why MSIA has established a statewide program that provides every fourth grader the opportunity to ski for free. Fourth graders can obtain a “Cold is Cool” Ski & Ride Passport that gives them three free lift tickets or trail passes at each of the 21 participating ski areas. The Fourth Grade Ski & Ride Passport is one of the elements of MSIA’s “Cold is Cool” program, which is dedicated to improving the health of Michigan children by offering outdoor winter activities. The program has been approved as an “advocate” for The President’s Challenge program, which encourages regular activity among children and adults. Steve Kershner, MSIA chairman and director of skiing at Shanty Creek Resorts, says the association wants all Michigan kids to have the opportunity to ski or snowboard. “Fourth grade is the perfect age to learn to ski; 9- and 10-year-old kids have the coordination to pick up the sport quickly,” he adds. In order for fourth graders to use the free lift or trail pass visas, a paying adult must accompany them. “We feel that fourth graders should be supervised by an adult while on the slopes and trails. Our intention is to make this a fun, affordable and safe activity for the entire family,” says Mickey MacWilliams, MSIA executive director. With the Passport, up to two fourth graders can ski free with each paying adult. Applications for the “Cold is Cool” Passport are sent to all Michigan schools. Parents can also pick up the applications at participating MSIA ski shops and online at goskimichigan.com. Although the skiing is free, MSIA charges a $15 printing and shipping fee for each passport ordered. In addition to the Michigan lift visas, the Cold is Cool Passport also includes a free lift ticket for skiing at six our-of-state ski areas, a 20 percent discount on the purchase of a ski helmet and a $15 coupon for ski gear and clothing at 56 participating retailers. There are also bonus coupons for services and equipment at some of the Michigan ski areas. 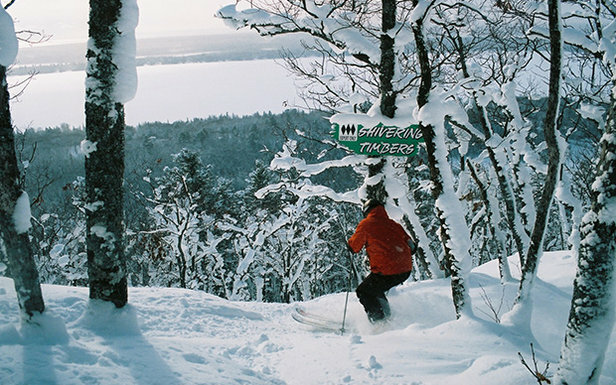 Participating ski areas include: Alpine Valley of White Lake; Big Powderhorn in Bessemer; Blackjack Ski Resort in Bessemer; Boyne Highlands of Harbor Springs; Boyne Mountain of Boyne Falls; Caberfae Peaks of Cadillac; Cannonsburg Ski Area of Cannonsburg; Cross Country Ski Headquarters of Roscommon; Crystal Mountain of Thompsonville; Hanson Hills of Grayling; The Homestead of Glen Arbor; Mt. Brighton of Brighton; Mt. Holiday in Traverse City; Mulligan’s Hollow of Grand Haven; Nub's Nob of Harbor Springs; Pine Mountain in Iron Mountain; Shanty Creek Resorts of Bellaire; Snow Snake Ski & Golf of Harrison; Swiss Valley Ski Area of Jones; Timber Ridge Ski Area of Gobles; and Treetops Resort of Gaylord. The Cold is Cool Fourth Grade Ski & Ride Passport has blackout dates at some of the participating ski areas, which are noted on the application. For more information, visit goskimichigan.com and click on Cold is Cool – or call MSIA at (248) 620-4448.